Here’s the best of London Fashion Week’s autumn/winter 2015 looks. As usual, Christopher Kane produced the most interesting looks with an expansive collection of electric iridescents. Stand outs are the uncompromising colours of the blue and purple dresses, and the whimsy of the lacy black and white number. Jonathan Saunders went for full-on 70s revival with loud prints and chunky sunnies. Topshop Unique also went for a 70s feel – although less garishly so – with fur coats and Japanese inspired prints. Giles featured unabashed theatricality and kingfishers. 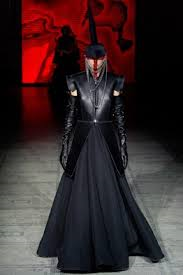 Gareth Pugh’s collection was scary mash-up of influences – Boudicca and England football fans. Sibling dabbled in tangerine latex. 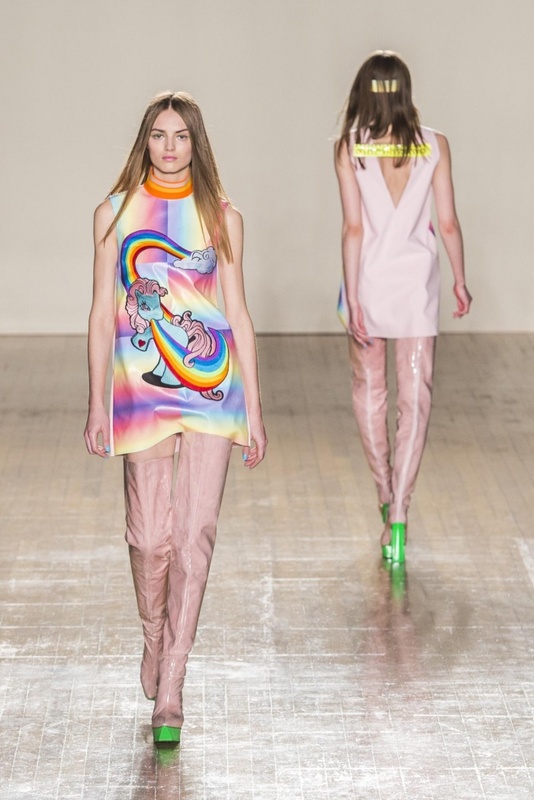 Fyodor Golan felt rainbow unicorns. Erdem’s take on sheeny boho. Alexa Chung in JW Anderson. 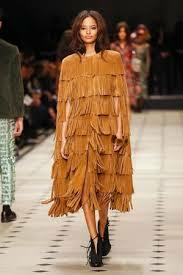 Burberry’s gigantic fringed suede cape. Matthew Williamson provided ravishing prints. This was fun, let’s do it all again in six months.